HomePeter's blogsGod's Strength & CharacterWhat would You do if You were God (Part 1)? What would You do if You were God (Part 1)? 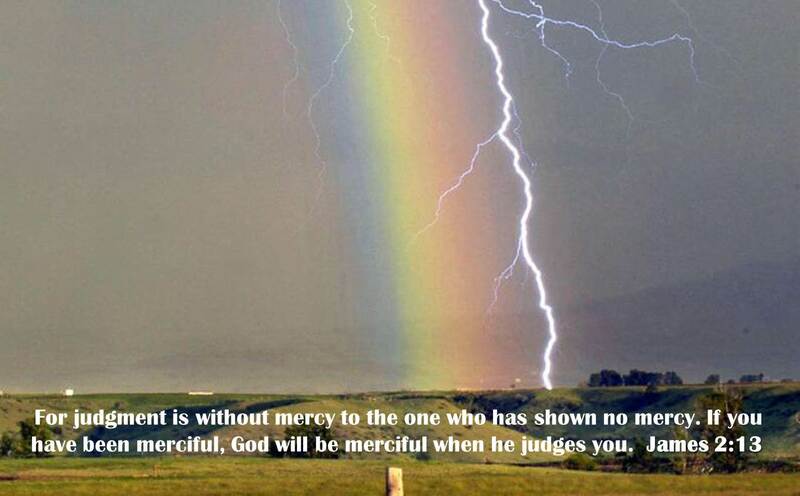 One of the most common questions I hear from people (both believers and non-believers), is “why is God so angry, or so harsh when He judges or punishes His children”? Of course, as an inquisitive believer myself, I have asked similar questions over the years. I certainly do not claim to be an expert on answering these questions, but through our times of Scripture study, seeking the Holy Spirit’s guidance, we have been able to discern some insights from Yehovah that we thought might be helpful to others. First, I want to dispel the false notion that Yehovah Elohim (the Creator God of the universe) is an angry God by nature. From years of spiritual conversations with people, I believe this comes from ignorance (or misunderstanding) of the “Old Testament” [Tanach]. The way we hear Scriptural teachings tends to be from preachers, and from polls of Christians, it is quite evident that for the majority of believers, 95% of what they know about the Bible is what they hear from the pastors/teachers in their congregations. Unfortunately, when we hear excerpts of God’s word, taken out of the full context surrounding the Biblical account, it can be very misleading to our understanding. For instance, consider the Biblical Flood story and how all the people on the Earth (except for Noah and his family) were destroyed by the vengeance of God. Even “innocent” women and children were drowned by the floodwaters. Remembering that “all have sinned and come short of the glory of God” (Romans 3:23) and “as in Adam all die” (1 Corinthians 15:22), we know that because of Adam’s sin all people will ultimately die. At the time of Noah, though, we know from Scripture that people throughout the Earth were disobedient to God and living sinful lives: “…the LORD saw that the wickedness of people was great on the Earth, and that every intent of the thoughts of their hearts was only evil continually” (Genesis 6:5). So, what was God’s response to His rebellious children – did He condemn them and bring immediate judgment on them? Often we hear that Yehovah was an angry, vindictive God in the “Old Testament” whereas He became a God of infinite mercy and grace in the “New Testament”. But we know that God never changes (Hebrews 13:8), and is the same yesterday, today, and forever, so something does not add up here. Getting back to the story, God decides that He will destroy every living creature He has created. But then Yehovah notices that there is one person (Noah) who has remained faithful to Him and “…Noah found grace in the eyes of the Lord [Yehovah]”. (Gen 6:33) Yehovah then tells Noah to build an ark and promises to preserve his family (and enough creatures to re-populate the Earth) even though He plans to destroy all other life (Gen 6:14-22). So was Yehovah unjust to all the other people on the Earth? No, because in 2 Peter 2:5 we read that: “Noah warned the world of God’s righteous judgment”. Noah warned people to repent because he recognized that God was being merciful to them and giving them another opportunity to turn from their wicked ways. If Noah had ignored YHVH, then YHVH would have had to start from scratch. On the other hand, if some of the people had listened to Noah, then there would have been more than eight people delivered on the ark. We see another clear example of Yehovah’s grace in the midst of His judgment in the story of Sodom & Gomorrah. I will not go into the details of the story here, but this was another case where almost every person in those cities were wicked and sinful. But for His friend Abraham’s sake, God would have relented from destroying them if at least 10 righteous people could be found there (Gen 18:20-33). Since Lot and his family (even including the two angel visitors) still equaled less than 10, God delivered their family out of the judgment but still destroyed the cities. Once again, because God is a righteous God, He cannot allow sin and evil to continue unchecked throughout His people. Yehovah is a righteous and just God, and He cannot tolerate continual sin and evil because that would violate His spiritual laws and destroy everything that He has created. This universe is founded on His truth and goodness (righteousness), and anyone who violates those founding principles is an enemy of God and must eventually be destroyed or brought into alignment with His righteous justice. We find that it is very inspiring to meditate on the goodness and righteousness of Yehovah, and that when we follow His spiritual laws of truth and justice we have joy and peace in our lives beyond measure. This is the first in a series of posts where I would like to explore Yehovah’s character, and how He interacts with His creation from the perspective of the people He has created to have dominion over the Earth. My essential question to you is a hypothetical one: if you were God – Creator, Master and Lord of the universe, how would you handle things differently? What would you do with your people if they disobeyed the instructions you had given them to help them live a peaceful, joy-filled life on this Earth? If they rebelled against your spiritual laws, cursed you, and killed or committed evil acts against your children, would you simply slap their hands and tell them to try harder next time? [Remember that this is what our loving God had already done many times over when He sent His prophets and told them He would forgive them if they would repent – He has unconditional love for His children]. A high school aged girl asked me about God’s reputation for anger and judgement. We talked about families. I asked her what she would do if she had a family with children and some of the children were lying, cheating, stealing or even hurting (killing!) the others. I asked her if it would be loving of her to just let them all do what they wanted to do and still be sweet and nice to them and give them everything they want. She immediately got the picture, simplistic as it was. Even human parents, with their flawed senses of justice and mercy, still understand that LOVE entails accountability. Praising Yah that HE is righteous and perfect in both His judgement and His Mercy!!! Thanks for a great article. Looking forward to the series.